The Kurnool District Court granted bail to CEO and MD of Amway India Enterprises, Mr William S Pinckney, more than a week back. But Amway India officials so far have not come forward to secure his release on bail. What could be the reason? 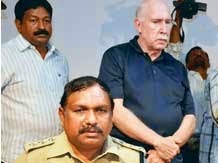 The Amway India Enterprises’ counsels and the bosses of Amway in the USA have been attempting to bring pressure on the Indian Government to release Mr Pinckney unconditionally. The Amway officials appears to have felt that more time Mr Pinckney remains in jail, he could garner more sympathy. In order to increase the pressure on the Government they are keeping Mr Pinckney in jail. It is entirely the fault of the Amway authorities in making the CEO and MD of Amway India languish in jail. Secondly, the District Court set as one of the conditions for bail that Mr Pinckney should surrender his passport to the court. The Amway authorities could not digest this condition. They pleaded that Pinckney has been living in the country for the last 16 years and he would not escape to other countries. The court did not agree to the contention and stuck to its position for the surrender of the passport. In fact, the Nampalli Metropolitan Magistrate Court should have demanded the surrender of passport seven years back when a criminal case was filed against Amway India by the CID of AP. For reasons better known to the then judicial officer, there was no such demand. At least this time, the district court of Kurnool set the condition. Once he surrenders the passport and fulfil the other conditions, he would be set free. Then only he could obtain bail from other courts including Warangal, Khammam, Hyderabad and other places. 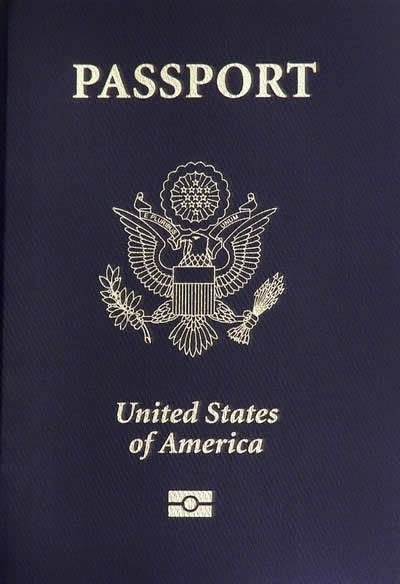 Why Mr Pinckney is not willing to surrender his passport? In the case, he is convicted and sentenced he might escape to the USA or Australia to avoid jail term. That is why the judicial court is demanding surrender of his passport. That exactly is the point why the bigwigs of Amway from the USA are spreading canards that Pinckney was illegally detained and harassed. In fact, he was legally arrested for indulging in a criminal activity and he could secure bail by fulfilling the conditions set by the judicial authorities. Meanwhile, the journalist friends in New Delhi told Corporate Frauds Watch that Amway officials are seen moving in the lobbies of Parliament trying to impress upon the newly-elected members of Parliament for the release of Mr Pinckney. I like this nameless fellow. It is not clear whether he is Indian or from some other country. Anyway, what he blabbers is in tune with the training extended by Amway. Anybody who is against Amway should be shunned even if he is your father or brother, as per the training at BWW seminars. Anyway he is afraid to come out with his original name and address. He would be immediately arrested and put behind bars for his outbursts against the judiciary of the country. Not only that he refuses to accept the reality. He should have read the Andhra Pradesh High Court, which elaborately nailed the crime of Amway. Like an ostrich he refuses to see the writing on the wall. http://www.qbule.com/ this company did not give payments sir. but these people is doing business. please do some thing. why did not you give reply sir? have you done some thing or not about these company sir? can i believe you or not sir? Dear Vishnu, You do not understand how difficult it is to convince a police officer regarding the crime of a company or person. You have to prove that you are complaining against a really fraudulent company. Otherwise, no police officer will listen to you. If you find a victim, it will be easy to convince the police officer. Kindly find a victim and let us go together to file the complaint. @@Vishnu kumar:: you have shown one single example,, there are lot of illegal blogs and companies presents in INDIA,Out of all these Amway is route cause... Fighting against each and every thing is not possible.... @@ Shyam garu:: మొదట జనాలు convince అవ్వాలి,,,Of course the way you are responding to the people is good. Singapore based corporate gift supplier specializing in Cheap Coporate gift and coporate gifts ideas in singapore Unique Customized coporate wholesale gifts as no one provid in this feild and good in budget. I was doing modicare business in my mothers name and I was also co-applicant. In their business plan they mentioned 7 incomes. Out of 7incomes, 3 incomes from company national turnover. They brought lot of leaders from other network marketing companies with good deal. The deal was virtual spillover (fake business volume) to leaders. Through that virtual spillover they developed their business single side and got good income. But, consultants who were really working hard and building bothsides were getting little money. (only 63% from their projection in the marketing plan). 2013 whole calendar year it happened in modicare. I qualified for foreign trips also. Eventhough, I resigned on 12th Dec 2013. Can we ask the total volume and how they divided the bonus in 2013? Still some people are believing modicare and doing business.How we stop all those things. Bail bond agencies talk to our clients to deliver a solution that fits their individual needs. People are the foundation of Bail 2 Go. Take a minute to see how we are far more than just another Orlando bail bonds agency. Thank you for sharing this story. I was not made aware of it. So scary that a foreign employee can just be left to sit in jail and wait. I wonder if that is the same course of action other companies would take and if this might change it was was a company from a different country, like the U.K.